Jean-Luc L’HOURRE is currently the only person ever to have won the cooking category of the “Un des Meilleurs Ouvriers de France” (One of the Best Craftsmen of France) competition to work on the island. 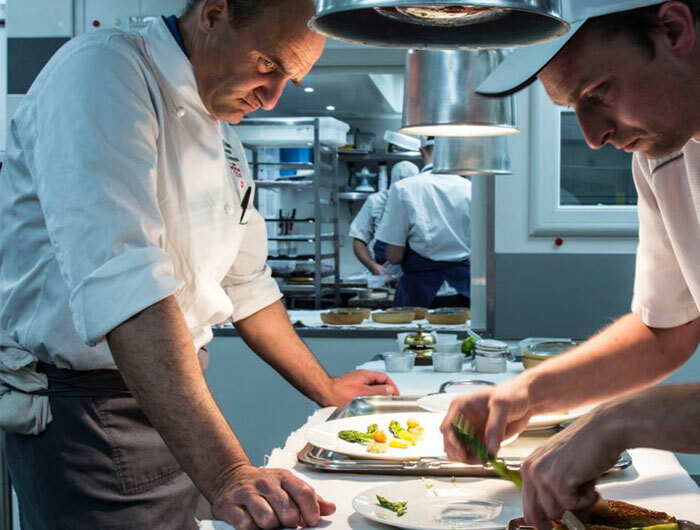 Since he arrived at the Marinca, the chef’s recurrent theme has been to offer a cuisine that showcases Brittany, his place of birth, particularly by using Le Gall cream and butter, as well as Corsica, his adopted home. « Maison Georges Larnicol has been established in southern Finistère for over 30 years and now has a chain of shops both within and outside France.